My daughter is turning three and everyone around her (except her parents) is very excited about daycare. Her grandmother bought her new shoes that she’ll wear on her first day; her grandfather committed to be the one to pick her up from daycare; and the other mommies in our neighborhood keep asking which daycare we chose. Little do they know that she’ll be staying at home and won’t be attending daycare or preschool anytime soon. While most parents hurriedly send their kids to daycare, we’re among the parents who believe that it’s much better to just make them stay at home. 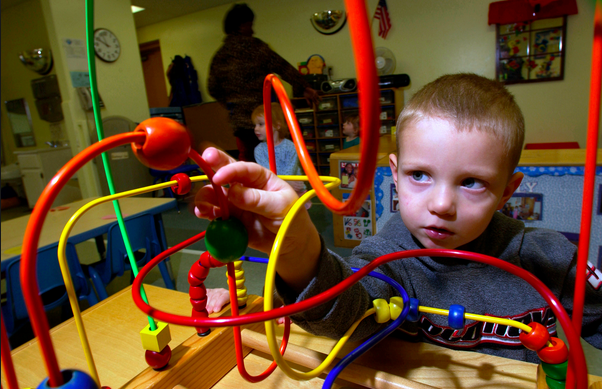 Anti-daycare parents should take a stand. Money is one of the reasons why we’re making her skip daycare. It’s an absurd amount of money. Now, it would have been okay if we feel that it’s worth it, but we don’t. We especially don’t want one of those daycares with the “hands-off approach” where kids are, basically, ignored. We’re going to pay so our daughter can sleep for an hour and watch TV the rest of the time? We can do that at home! I’ll be the first to agree that there are benefits to sending kids to daycare. There are studies that back this up. For example, a study showing that kids can improve their ability to adjust their communication styles depending on the situation. That sounds good, but is this really something that’s very important for my toddler? I don’t think so. Obviously, one of the best benefits of sending kids to daycare is they get to mingle with other kids. But you have to admit that this is a double-edged sword. I’m afraid that my kid can pick up bad habits. For example, after a trip to the park, we suddenly noticed our daughter blinking excessively. We were freaked out, only to find out that one kid at the park has that habit and my daughter just picked it up. Well, you can look at this as a case of what doesn’t kill my daughter will make her stronger. No thanks. Many kids in daycare easily pick up diseases. I just don’t feel safe for her. Now, this is not to say that we won’t be doing things to help with the improvement of our daughter. We’ve already put up a play/learn area in our house. It has educational materials and toys. We’ve committed to spending at least two hours a day for the development of our children. We’ve invested on learning materials and curriculum that can help guide us. With this setup, we can be closer to our daughter and she will be closer to us. We’ll be there for every tantrum that she throws. On that note, these tantrums are actually good things as far as emotional closeness is concerned. According to experts, toddlers are throwing tantrums because they feel close and safe enough to you that they can throw fits. I don’t know about you, but I’ll be devastated if my daughter develops more closeness to her daycare teacher rather than us. I’d rather that she throws tantrums in our presence than in hers. We understand that our kid will be missing out on a lot of great things by not attending daycare, but she’ll enjoy more and better things by staying at home with us. We’re going to make sure of that. Anti-daycare parents should take a stand. We’re standing up and saying so.